Life as an artist in the 19th century is hard. That's the impression I get when reading through the artists monologue series from Laurence King Publishers. This book on Paul Cezanne follows a somewhat similar pattern of an artist trying to find meaning in his work, dealing with critiques, looking to move to the next level. In the end, he was considered to one of the 'fathers' of modern art. 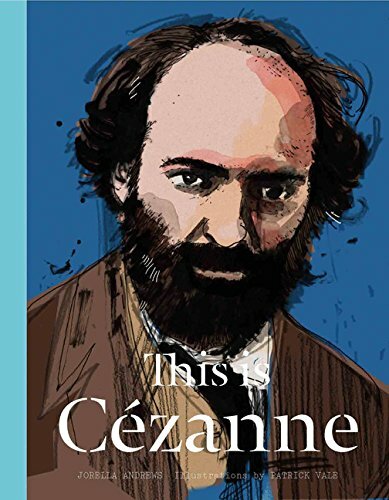 This book tells the story of Cezanne is a condensed format made to fit 80 pages. The author is Jorella Andrews and the illustrations are by Patrick Vale. The life story of Cezanne is interestingly written and the accompanying illustrations are wonderful.